Arie Irawan won his first tournament on the Professional Golf of Malaysia (PGM) Tour today and did it at the biggest and last event of the season – the RM350,000 Maybank Players’ Championship, hosted at Impian Golf & Country Club in Kajang. Just a year-and-a-half after turning professional, the 24-year-old, who was born in Miri, Sarawak and now resides in the capital, Kuala Lumpur, secured a deserved triumph in a tournament that he led from start to finish, en route to a two-stroke victory over Airil Rizman, who himself was crowned Player of the Year, having clinched the Order of Merit title on the last day of the season. Arie shot a closing three-under 69 to finish with a 14-under 274 total, while Airil carded the low round of the day, a seven-under 65, which nailed down second place on 12-under 276. “It feels surreal to stand here and speak about having won this tournament,” said Arie. “It is the biggest event on the PGM Tour and I am absolutely happy to have managed to pull it off. “It is not easy to win on this Tour as there are maybe 15-to-20 players in each field who stand a good chance of winning. Arie, who picked up the biggest cheque of his budding career – a RM60,000 payout – added that he would endeavour to do even better next season, having climbed to second among the Malaysians in the world rankings. Airil, too, said he was pleased with how his campaign as a whole unfolded – winning in his home state Perlis in June – and with a number top-10s, claimed the Order of Merit crown. His runner-up cheque of RM40,000 here at Impian lifted him to some RM35,000 ahead of R. Nachimuthu, who led for a long period of time, following his two victories earlier in the season. “I could not ask for more,” said Airil. “Today I tried to push Arie for the win but he did well to stay in front. I played very well today and was really zoned in. But in the end it was not enough. 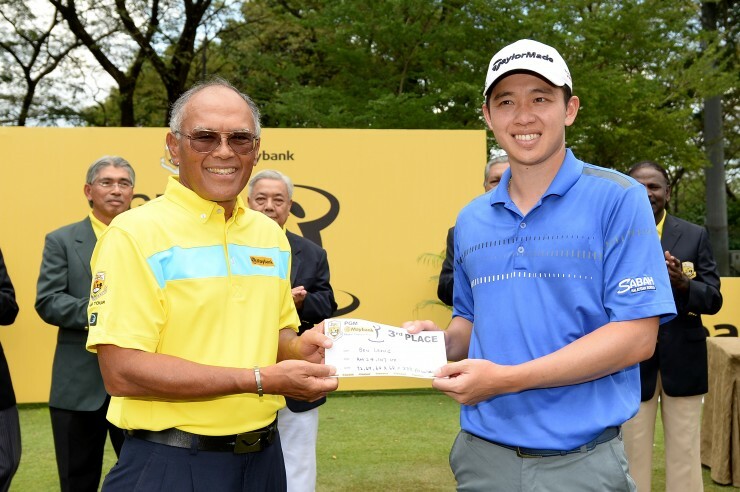 Ben Leong, who won the PGM I&P Group Closed Championship at Kinrara Golf Club in Puchong in August, finished third, three strokes off the lead on 11-under 277. He collected RM24,147. And he too said he was delighted with his season’s effort. “This was my comeback campaign,” said Leong, in reference to a back injury that required surgery and kept him out of the game for almost two years. “And I am just happy to be playing again and competing each week. Turning to the Maybank Players Championship, he said: “I played in the last (championship) flight today with Arie and he really played well. He deserved to win here. 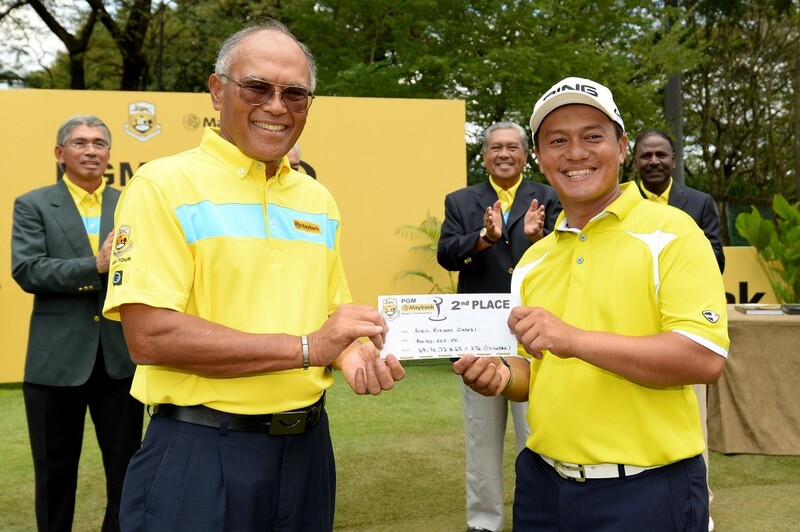 Mohamad Azman Basharudin (67) was tied for fourth with Sukree Othman (70) and Nachimuthu, who also closed with a 70. They ended with nine-under 279 totals, while Kemarol Baharin (69) was seventh a shot further back and Akhmal Tarmizee (71) eighth on six-under 282. Wilson Choo (71) and M. Sasidaran, who carded a fourth round five-under 67, were joint eighth on five-under 283. 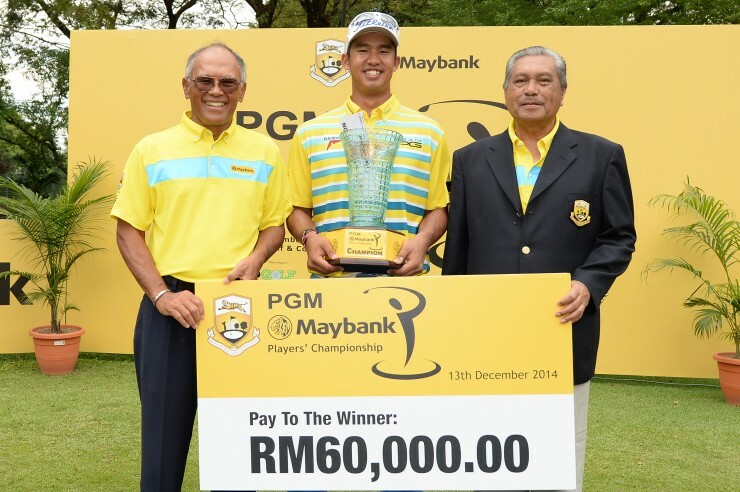 Speaking after the prize-presentation, Maybank chairman Tan Sri Megat said they were happy to see the Players Championship bring the curtain down on the season and that there were many young and promising golfers coming through the ranks. PGM Tour chairman Tun Ahmad Sarji said they were now looking forward to next season with greater enthusiasm. The 2015 campaign will for the first time feature more than RM6 million prize money, up on the RM5.1 million on offer this year.